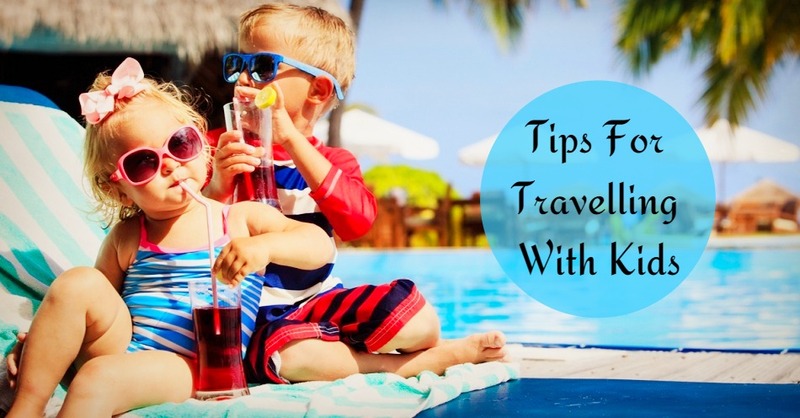 Home Travel News | Travel Guides Planning to Take Your Kids Out on a Vacation? Here’s How! Parenthood is always known to be the most awaited moment as it is considered the best time of life. You are blessed when you have children as they make your day ten times brighter. But that is not the complete story. They also make your day ten times tougher. Satisfying a child is the most difficult thing in life. You should have a proper understanding with them and know their mental conditions to give them an excellent future ahead. Nurturing your kids also involves traveling with them. Taking them out on tours, educating them practically and letting them see the outer world at a young age is what we can do to help them grow better. With the same thoughts, I am here to tell you a few things about how to travel with your tiny kids. Plan for them: Yes! It is a trip for them and not something where your needs should be kept in mind. They are the ones who are supposed to enjoy and learn more through this trip. It is going to be their vacation. So plan as per their wishes. Plan according to the places that they want to see and the things they want to do. Come on, this isn’t going to be difficult. Easy Travels: While you book your tickets to places once you have planned, make sure to give some comfort to your kids as children often get uncomfortable with the journeys. If you are booking some flight tickets, whether economy or business class flights, then ask for the comfort facilities available.. To exemplify, Indian Eagle is one such online travel agency that helps you with your kids by letting you know more about their services and the extra offers that you can get for your child. Keep your kids distracted from feeling nauseous or dizzy by showing them the nature and the landscapes and by telling them stories or putting them to sleep. Make sure to look for some comfortable seats while booking your flight tickets. Be educative and productive: They are children and they are in their growing period. That means they are learning a lot of things. So it is always important to be educative when it comes to trips. Take them on some productive trips where they can see the historic places. Talk to them about it and for that, you need to do your homework well. If you are taking them to a museum or any puzzle world, then ask them to solve it. Make their trips fun and productive. Health care: Carry their food supplements wherever possible if they are choosy or particular about it. If not, make sure to feed them with something at regular times so that they don’t get dehydrated. Kids waste a lot of energy by monkeying around and so they need to be kept energetic with glucose and proteins. Let them question: Kids are like question banks. They talk a lot and also like questioning a lot about many things. Well, some are not like that which is a bad thing. Every child has to be energetic and outgoing. Make your child question everything so that they know more about each and everything. Keep an eye: Kids are jumpy and sneaky which means they are trouble when they are in trouble. So don’t let your eyes get off them as they might vanish in a blink of the eye. They might run down and hide under a statue or might even go cover themselves with something. They are kids with immature and funny ideas to please us and to show us that they want to play with us. Poor chaps don’t understand that they are trying to mess with us. But is always sweet to play the hide and seek with them. Make sure you play along, but keep an eye! Carry a med-kit: Emergency med-kits are important because we are handling CHILDREN! They fall, push other children or cut themselves accidentally or try biting someone or even try overdoing anything stupid. So it is always important to make sure that we have the emergency first aid kit ready while travelling with kids. It is said that we don’t learn to get up till we fall. The same goes for them. Let them learn their lessons the hard way, but be there to help them out. So these were some of the useful tips from my diary of travels. Today’s children are tomorrow’s youngsters who will be playing a very crucial role in the development of our nations and also their own lives. They are going to be parents and that is when your parenting will influence their parenting and if you are a wanderlust then they also might end up learning the same. They might also feel free and move around with their wings open. Psychologists believe that traveling, whether on last minute flights or a planned trip, enhances the growth of children to a great extent. So make sure you give them the best. Let me know if you found it useful or not and do not forget to like, comment and share this article if it has been effectively useful to you. Make sure you give them the best memories and also educate them about many things.